Thousands of people in one region of Sub-Saharan Africa now have access to clean drinking water, thanks to some wonderful volunteers with the Kentucky Baptist Convention’s disaster relief department! 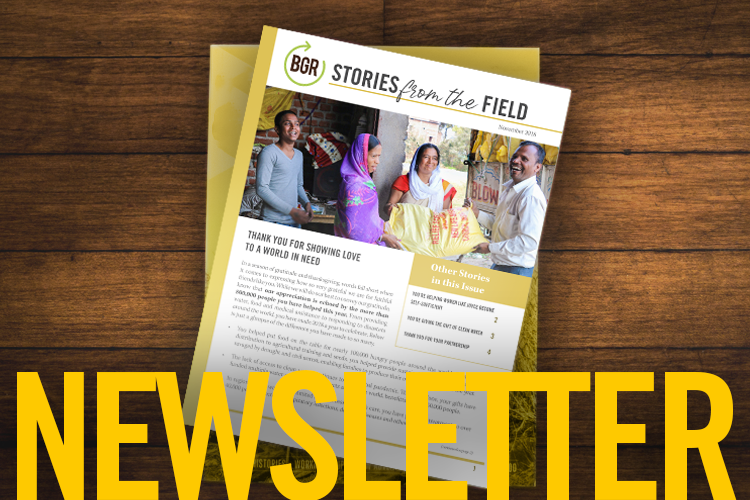 In July, three Kentucky volunteers partnered with BGR to repair eight dysfunctional wells for refugee camps and villages full of people who have been driven from their homes. A civil war had been raging in the country since 2007, but the fighting intensified in southern regions more than a year ago. People poured from their houses to escape violence and brutality. Many of them settled in a relatively stable region of the country, where they could live in peace but still had to struggle for basic necessities. So, God moved the volunteer team to travel across the ocean and bless these displaced people with clean, fresh water. The visitors also trained nine nationals to maintain the wells so locals wouldn’t lose water every time a well or pump was damaged. And, to top it all off, they also installed solar panels and made electrical repairs for a field partner’s home. Thank you for donating the funds necessary to help repair these wells, and pray displaced people will feel God’s love and comfort every time they taste fresh, clean water.